Here’s a handsome chap from Gevril officially called the Gevril 2405L Men’s Gramercy Automatic Yellow Gold Brown Leather Watch. 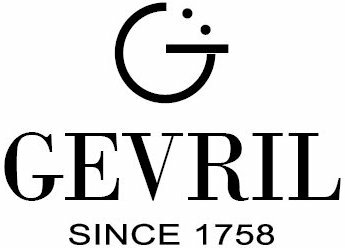 If you’re familiar with Gevril, you’ll know that every model in the line is named after the Big Apple. What better city to inspire a watch’s aesthetics and spirit. 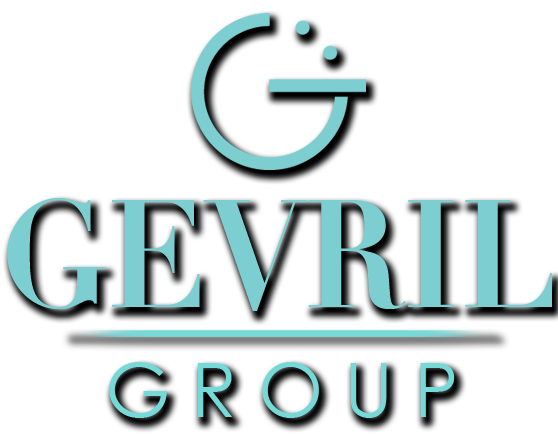 The Gevril 2405L Gramercy takes its name from the area in Manhattan referred to as Gramercy Park because of the 2-acre park that defines the neighborhood. Originally enclosed in 1833, actual construction of the surrounding homes on the lots didn’t begin until the 1840’s. An interesting fact is that it’s the only private park in New York City reserved for people owning property surrounding the park. They pay an annual fee to get a key that unlocks the environs inside. The general public isn’t allowed in; however, they can gaze upon the beauty as they jog or walk on the sidewalk that surrounds the park—and it is a popular place to find joggers and strollers. 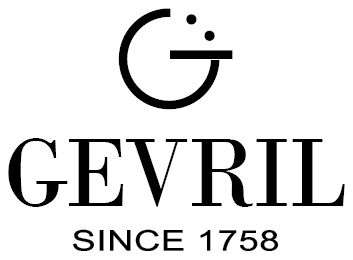 Gevril made a good choice giving the Men’s Gramercy Automatic Yellow Gold an affiliation with the exclusive park because indeed the watch has an old world rich and upscale feel. 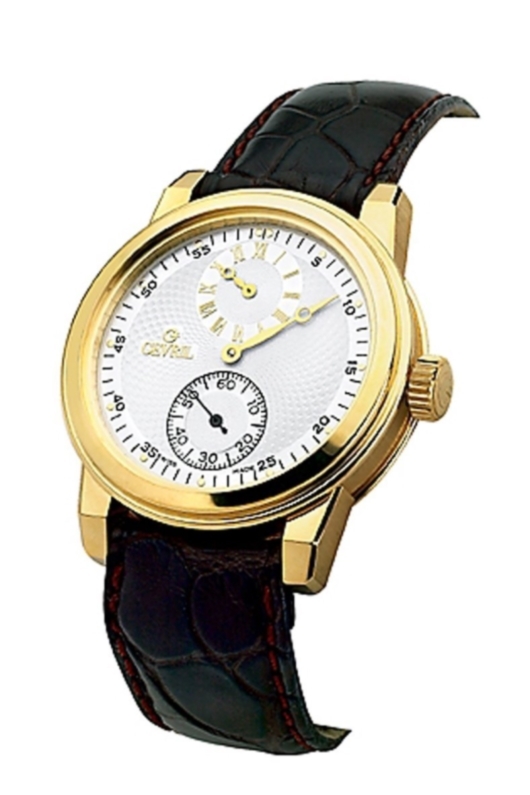 The white watch dial features a regulator configuration. A regulator setup separates out the hours, minutes and seconds onto separate indicators. This configuration was first used at the end of the 17th century to give watchmakers an accurate reference to regulate their watches. Minutes took center stage as the most important element, since at the time, technology didn’t allow for accuracy down to the seconds. That’s why the minutes are the largest indication going around the outside of the dial and the easiest to read at a glance. In a 40 mm 18K gold round case with faceted lugs, the Gevril 2405L Gramercy separates the hours indicator at 12 o’clock balanced by the seconds indication at 6 o’clock. 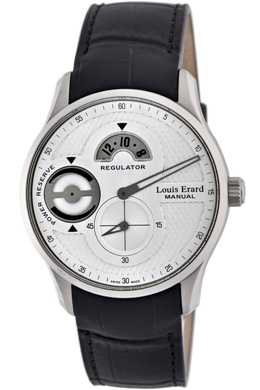 As described above, the timepiece follows the historical layout of the regulator configuration with the minutes hand the largest feature as it circles the dial. Because of the advancement of watch technology, you can be assured that the Gramercy will be within seconds of accuracy. As a bonus, you can view the automatic movement ticking away through the exhibition back. Finishing off the look is a brown calfskin strap with a gold buckle that beautifully complements the gold case. The Gevril 2405L Men’s Gramercy Automatic Yellow Gold Brown Leather Watch is produced in a limited edition and will elevate any timepiece collection. Louis Erard is a Swiss watchmaker who is focusing on manufacturing mechanical watches with a classic and elegant appearance. 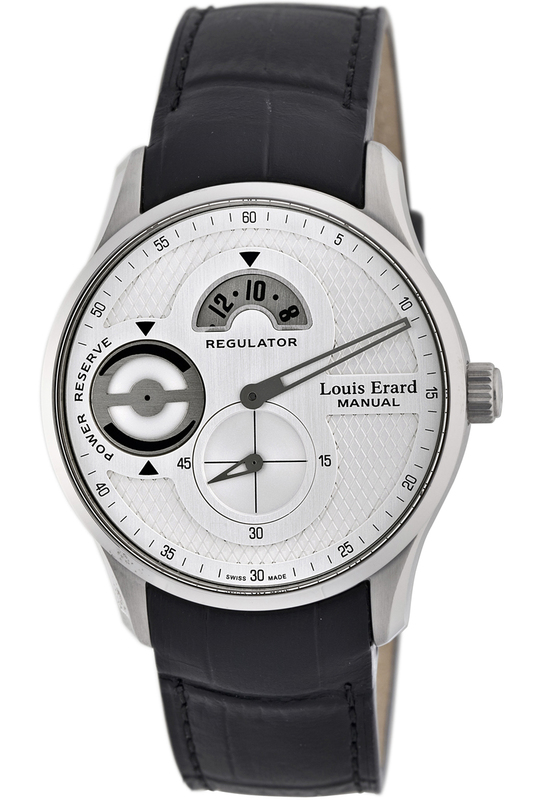 Take a look at the Louis Erard regulator presented here, which is a manual wind timepiece with an ETA Peseux movement 7001 RE9 with Louis Erard complications, including a regulator hand showing the minutes, a power reserve at 9 o’clock, and a small second at 6 o’clock, while the hour is shown in the gauge at 12 o’clock. Accordingly, the watch depicted here shows 10 minutes after 10 o’clock and about 40 seconds. This timepiece belongs to the 1931 collection which focuses on mechanical timepieces for watch aficionados with small complications such as a power reserve or a regulator. This model features a contemporary 42mm size, complemented by a beautiful silver dial which looks very clean despite having several complications. As a result, it is easy to read and understand, which is not always the case when you look at complicated watches. The beautifully brushed steel case possesses a see-through back which offers you an open view on the highly finished hand-wound movement. Honestly, such a beautiful movement would be a reason to wear the watch in reverse showing only the movement, as it is really exciting to watch the gears and balance spring do their work to keep this living object alive.